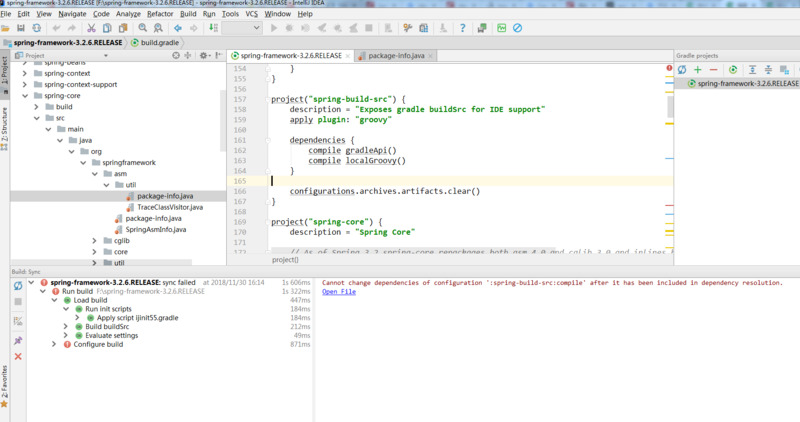 org.gradle.api.ProjectConfigurationException: A problem occurred configuring root project 'spring'. 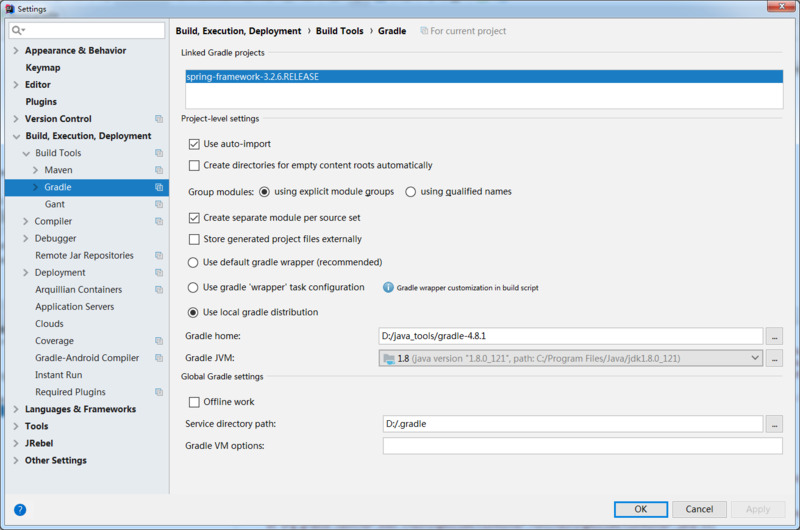 Caused by: org.gradle.api.GradleScriptException: A problem occurred evaluating root project 'spring'. Caused by: org.gradle.api.InvalidUserDataException: Cannot change dependencies of configuration ':spring-build-src:compile' after it has been included in dependency resolution.